Prof M.V. 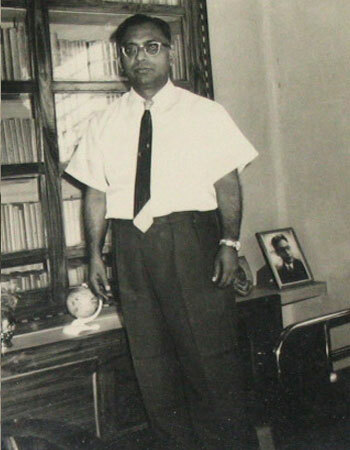 Rama Sarma, in the productive period of the development of his sensibility and intellect, came under the spell of the values generated by the freedom movement and acquired passionate idealism and intellectual commitment, and what is almost unmatched in the academic environment, a catholicity of outlook and breadth of vision which endeared him to his students over the many decades. A debater at heart, Rama Sarma was attracted towards Shavian ideas and set out to the United Kingdom with that zeal, but as destiny ordained it, he obtained his Phd from the University of Wales on Milton, whose unreachable dispose of highest wisdom he has explored with unremitting energy and steadfast devotion for nearly half a century now. His writings on Milton, pursued consistently and with a sense of vocation, have earned international recognition for him for their analysis of the intricacies of Miltonic thought and for their display of a rich Indian sensibility at work. a symbol of Miltonic magnitude, Rama Sarma diversified his areas of interest to include Shakespeare, “the soul of the age’, Jacobean drama, Twentieth Century Drama, a part from occasional forays into the fields of Comparative Literature, Commonwealth Writing, Thomas Hardy, and so on. Rama Sarma, the inveterate teacher, speaks through all his writings to an extent where Rama Sarma the scholar seems inseparable from Rama Sarma the teacher. For this man who believed in the importance of simultaneity of twin pursuits of teaching and research, all the insights communicated in the class room are carefully embedded in his work and vice versa. If Rama Sarma’s study in U.K in the formative stages of his intellectual development animated his imagination, his brief stint at the University of Delhi, where the taught Elizabethan and Jacobean Literature kindled his enthusiasm for solid reliance on teaching by means of intense application and dedicated endeavor. It was here that foundations were laid for an approach to the purpose of making the student a true gentlemen aiming at harmonious perfection and nursing institutions to grow into what they ought to be. In this commitment to the cause of higher and nobler learning, Rama Sarma was less a scholar in the cloister or man of contemplation. He held many distinguished positions in Sri Venkateswara University and was actively involved in resolving many unsettling issues. He finally rose, inevitably, to be the Vice Chancellor of the University in 1980, but, as always, remained a teacher pure and simple, still teaching vigorously in the class room, and in the face of pressure to the contrary, aiding the student, by his sober voice of moderation, to promote his instinct of all hues and shades of opinion. He deftly handled sensitive problems by a quiet, warm shedding of the light of reason to dispel the darkness of ignorance. Whatever positions he held, he adorned them with dignity and rare composure. Rama Sarma never chose the confrontationist path. During his long and distinguished innings as Professor of English at Sri Venkateswara University held on to the concept of language through literature and gave a curriculum rich in literary content. He was also an advocate of comprehensive education and played a lead role in studying the scheme of General Education in 1958 as offered in the American Universities and implementing it in Sri Venkateswara University. With Milton’s and Newman’s approaches entrenched in his mind, Rama Sarma offered valuable suggestions in evolving a pattern of General Education for the rounded development of the student. During his long association with Sri Venkatswara University, the Department of English developed under his guidance. His services were given to the University in general, for he was the Principal of the University College, for six years and Vice Chancellor of the S.V. University for 3 years, 6 months. In various other capacities as member of the Syndicate, Senate, Academic Council, Chairman of the Board of Studies and several other Committees formed from time to time, he whole heartedly rendered services to the University. Besides being a teacher, Prof. Rama SArma was a creative writer with 6 novels and eleven plays. HIs plays are mostly based on social customs offering constructive suggestions for improving social life. As a writer of plays, Prof Rama Sarma is under the influence o Bernard Shaw. A marked quality of Rama Sarma’s novels is that they have an autobiographical tinge, which his student-readers would notice easily. Some of the novels are in the tradition of Campus novels that analyse the malaise and suggest wherein lies the “hidden soul of harmony” which Rama Sarma’s protagonists are ever in search of. Enlightened and upright, Prof Rama SArma has constantly spread sweetness and light.